For the past several years, groups and institutions like the University of Kentucky have sponsored indoor track meets. At UK for example, one meet has historically been conducted for Kentucky high schools in January and a second meet in February was an open meet with non-member teams from out-of-state and a variety of athletes and teams. Because of the way that the February meet was structured, there were previously specific limitations on KHSAA school-based participation, especially against non-member teams. 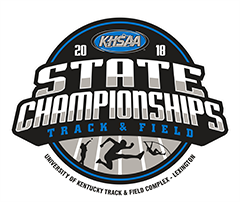 Because of recent bylaw changes in regulations, the only teams that are prohibited from competing against KHSAA member schools are schools or groups of athletes located in Kentucky who are eligible to join the KHSAA, but have decided not to do so at this time. There are no longer restrictions against out-of-state non-member schools or competition against out-of-state entities of other structures, as that is a local school decision. It is important to note that indoor track and field is not a separate sport, but the participation in indoor track is a countable subset of the track limitations within Bylaw 23. Therefore, participation by a school in school team-based competition shall count against the limit of meets. Any time schools provide transportation, pay entry fees, or provide uniforms, or any of the other criteria listed in Bylaw 23, it counts as a school competition. Specifically, Case BL-23-14 outlines how to count a meet against the Limitation of Seasons in the sport of Track. 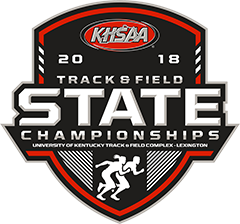 If your athletes participate in competitions that do not count against the limits because of the meet structure, you are reminded that there is no insurance provided for these athletes at this event through the KHSAA. Please contact Sarah Bridenbaugh (sbridenbaugh@khsaa.org) at the KHSAA if you have additional questions.